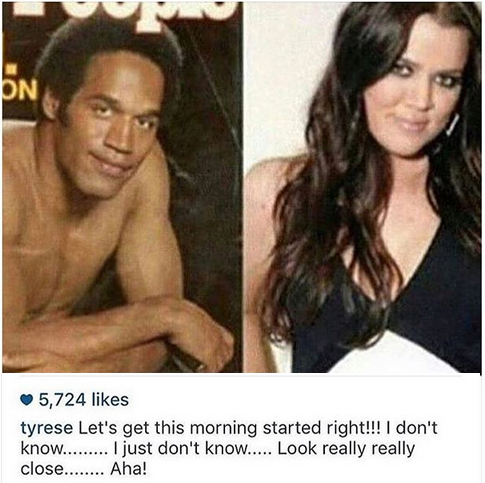 Tyrese shared this side by side picture of Khloe Kardashian and OJ Simpson who many believe is her true father,despite denials from her mum... He has since deleted it. Lol..this Tyrese is a trouble maker, but the striking resemblance mehn!